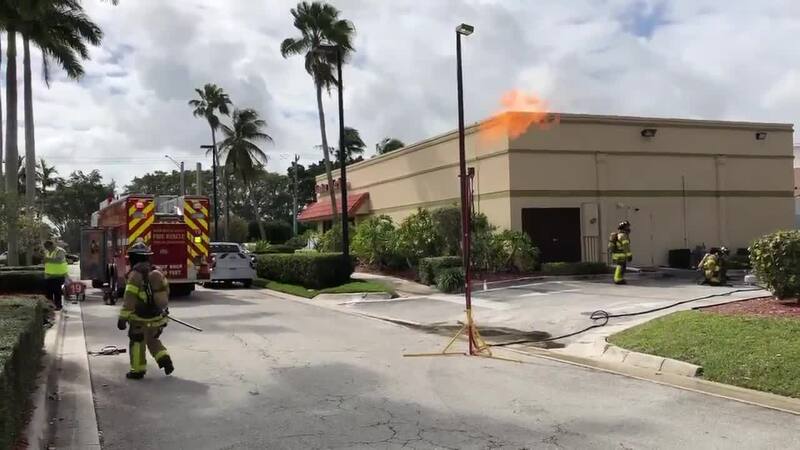 Palm Beach County Fire Rescue burns off gas from a leak. JUPITER, Fla.-- Palm Beach County Fire Rescue was busy Monday dealing with an underground propane leak. A special operations team was called to the 100 block of Intracoastal Pointe Drive in Jupiter. First responders used special equipment to burn off the propane. Fire rescue posted video of the operation on social media.